A Maximum of 4 players will be allowed per team (including pitcher). This limits your maximum Stack to (4) Players pending your Pitcher is from a different team. 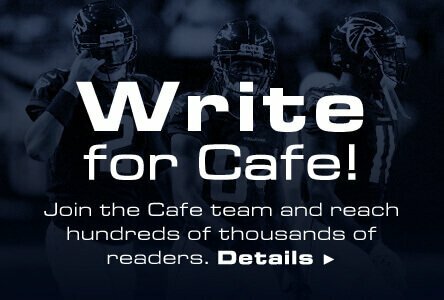 Before signing up, make sure to read our Fanduel review and Fanduel promo code don't forget to read our articles. Unlike competitor Draft Kings, Fan Duel does not have a late swap feature. This means that selecting players in dangerous weather conditions increases their risk significantly. While this can be a solid strategy to be used for GPP (most DFS players won't target players with risk of rainouts etc. ), it is highly suggested to avoid these situations at all cost for your cash games – specifically pitchers. Stick to a routine. If you are constantly changing your strategy you are increasing variance. By following a strict routine and playing every day you will maximize the research you do through edge and ultimately be profitable. Practice good bankroll management and see your bankroll grow each month. Splits are the most important aspect of your research. You need to understand not how well a batter does against the pitcher but how well the batter does against the handedness of the pitcher. This goes for pitching as well, it doesn't matter if Chris Sale has allowed Mike Trout to go 5-10 off of him, it is more important to know how well Chris Sale performs versus a LHB versus a RHB. You should exploit these “platoon" advantages due to the pricing discrepancy you will see with extremely split players. Some parks are better for hitters while some are better for pitchers. Some parks are better for spray hitters while some are better for power hitters. Understand each game environment your potential batter is playing in and decide if it best fits the portfolio of what he does. You do not want to select a fly ball hitter in a very large ball park because the ability to hit a home run is decreased. Synergy is created when you select batters in sequential order on the same team. For example number 1 and 2 as well as 4 and 5 impacts hitter number 3. When selecting a team, you will want to maximize synergy amongst your lineup. Vegas has made billions of dollars on accurately predicting game totals. Use this to your advantage. If you have the choice to select a hitter from a 11 run total game versus 7, select the hitter from 11. The same goes for pitching, you want to select pitchers in low run total games being a heavy favorite. Vegas is your friend and should be the foundation of all research. Weather can be used in two ways while playing DFS. Way number 1 is my using it to fade poor weather games. If a city is expected to have 100% chance of thunderstorms the likelihood of a PPD is much higher than clear skies. By selecting players from this game you are increasing your risk of getting a 0 from a roster position. On the flip side, selecting players in these games is a contrarian approach to GPP tournaments. Ownership decreases in games with poor weather and this can be a great way to gain a high upside player in a decreased ownership role. When I tell you that selecting your pitcher on Fan Duel is head and shoulders the most important aspect of your lineups I mean it. You will soon realize two very distinct differences between Fan Duel and Draft Kings. 1.Fan Duel Pitchers are not penalized for hits, walks, hit batsmen, etc. 2.Fan Duel skews scoring significantly to pitchers that win. When we are selecting pitchers we want to go directly to Las Vegas Odds and take note as to which pitchers have the highest success of winning. You will see a range of numbers similar to the following: +120, - 130, +160, -180, -210, +140. You will want to target the -180 & -210 Pitchers – the “higher" the negative number the better. During the course of the season, the highest money line you will see is typically -240 by Clayton Kershaw or Felix Hernandez type pitchers. When we look directly into the scoring we realize that (4) Strikeouts = 1 Win. A pitcher receiving the Win can save a mediocre game. Do not take winning prediction lightly. We are lucky that Vegas is the greatest predictor of “wins" for pitchers. Use it wisely! If you are a Draft Kings regular the inflated hitter stats can be fun and exciting. Where else wont you be penalized as a player for getting OUT? On Fan Duel however, your batters will be penalized for Outs and while a 0-4 game on Draft Kings won't negatively impact you – it will cost you 1 point on FD. When targeting hitters you will want to pay for contact batters especially in Cash Games. While a home run from Adam Lind may propel you once ever 4 games, his other 3 negative games are bad for your bottom line. You also want to target hitters in high Vegas games. Scoring = Production = Fantasy Success. *Pro Tip – Reviewing individual players spray charts can give you an idea of how well they hit the ball and to what location. Also targeting High Line Drive Percentage hitters will result in better production and overall fantasy success. ALWAYS start with Las Vegas Odds and weather. These can help you hone in which games to Target for both your hitters and pitchers as well as which ones to fade. Upon reviewing which games you will target go into deeper “splits" research into the opposing batters and pitchers for the game. Maintain Daily Fantasy Café for Batting Lineups and look to target batters batting close together in the targeted games. Target High Favorite Pitchers in Low Total Games. One item that should stick out to you when reading the strategy is that FanDuel weighs heavily the win for a pitcher. A pitcher receives 4 points for a win, which with a score of 40 being very good for cash games, is 10% the way there. I like to focus in on my pitcher before I select my batters due to pitchers being more predictable and also being more important to your overall score. Typically, your pitcher selection for cash games will be an elite priced pitcher based on our previous constraints. Regarding batters, it is a double-edged sword. When constructing a lineup specifically on FanDuel there are a few topics you must consider. Topic 1: Positional Advantage – The reason Troy Tulowitzki is in play every single night is due to the advantage he has versus other shortstops. If you think of positions as a staircase you would be your top option at the position on top and then the 2nd best option someplace below them relative to the first player. You will soon see that nightly the shortstop position has the biggest gap. Use this to your advantage. Topic 2: Lineup Construction - This is lineup construction in the type of bats you want. Most players think they will construct a power lineup or a speed lineup. That is great GPP plays but for cash game you want a combination. You want contact hitters that will get on base, score runs and swipe the occasional bag paired with your hitters that may go 1-4 with a home run or a bigger stat line. The objective is to not create so much risk that you are dependent on home runs. You want players that will put the ball in play for you giving you a higher floor. Topic 3: Game Selection – If you are taking DFS seriously you will want to keep track of your record versus certain opponents as well as the games you play. The goal is to play the weakest competition 80% of the time. If you are player weaker competition you will win easier, grow your bankroll and profit. This is a part of the game that goes overlooked but is extremely important to your bottom line. To go along with game selection, you will also want to review and study the pro's lineups to understand their personal lineup construction. This will make you think outside the box and construct better lineups. GPP strategy is a very unique creature in that there is truly no right or wrong way to play it. There are just more variance and less variance approaches. If you want to have a big score and practice bankroll management you will want to increase the amount of variance your lineups provide. What do I mean by variance? This means that stacking the Houston Astros against Carlos Carrasco when he is the chalk GPP option. This is a double-edged sword in that you are obtaining a team with low ownership against a pitcher highly owned. Not only, when they go off, do you gain an advantage on the field because of the low ownership of the Astros but also gain an advantage over the field that selected Carrasco. Another item you will want to look at is how to create increased lineup variance in the way you select your players. FanDuel makes it fairly easy in that you must have batters from two teams and each lineup must consist of a max of 4 players from a team. That means you can have a lineup consist of P-4-4 lineup construction. The most variance lineup would be to select a cheap, under the radar pitcher or an expensive pitcher in a difficult matchup and stack two teams together. These two teams would be teams facing off against a good pitcher in a bad matchup to the public. You can change the level of variance by changing the number of players per team in each lineup. Inherently, the less amount of batters you have from a single team, the better that play is overall and the less variance it provides. While this may seem counterintuitive, a $10k GPP score on $100 total buyins allows you to play $100 dollars a day for the next 100 days risk free. The goal is upside and variance, not safety and cashing. While that is a very quick and general guideline – it will put you off to a profitable opening day of the season.